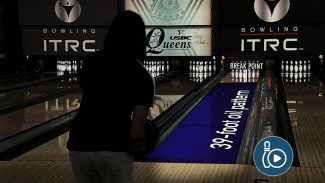 Coaches Rod Ross and Kim Terrell-Kearney explain how the distance of bowling lane oil patterns determine where you play on the lane. Pattern lengths vary greatly, from house to tournament conditions. Learn how to master short, medium and long oil patterns.